This article is a part of #KanvasLive, an interactive, cross-platform content series brought to life on the Kanvas app and AOL.com. See more coverage here. In case you missed it, Tortuga Music Festival kicked off its fourth year this past weekend on the beach in Fort Lauderdale, Florida -- and the top country artists brought their best music to the table for die hard fans. One of those artists was Chase Bryant, 23-year-old rising country star. Bryant was attracted to music at a young age, teaching himself to play guitar upside down and backward at just 3 years old (!). Now, he co-produces and writes all of his own songs, and plays lead guitar on his studio recordings. His new top 5 hit single "Little Bit Of You" is sweeping the country music scene, leading Rolling Stone to declare Bryant one of it's "10 New Country Artists You Need To Know Now." How did you get started in music at such a young age? What made you stick with it all of these years? The fact that music was a part of my family was huge. The first time I heard a stringed instrument and figured out how to make noise I was hooked! Can you give us some details about what it was like to write "Little Bit Of You"? It was an absolute honor to be a part of a song that will somewhat defy my future. It's nice to know I created the sound of my future along with country radio, and the fans of my music. What's your take on the current state of country music? Where do you hope to see the music genre go? I think it's right where it should be. All the greats were pioneers not settlers. They were people who created groundbreaking music that changed the face of the genre. Country music has always been about evolution. They love me for me. They've found the real me, and helped me do that! How is playing at a festival like Tortuga different from a concert tour or maybe a more intimate singing session? If you come out slow pace you come in last place. What's your favorite thing about playing at festivals? The fact that the fans are so into the music, and us as artists! They appreciate the entirety of the show. It's not many shows everyone knows every single word! 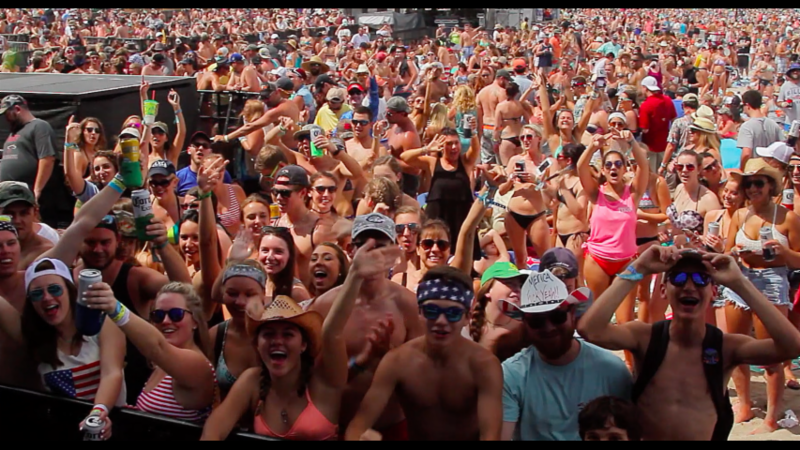 Is there anyone you are/were excited to see play at Tortuga? I'm a huge Thomas Rhett fan for the guy he is and the career he's created! Such a good guy too! Glad to see him play! Finishing this record and getting a new single out here in the next little bit! Stay tuned!